When I saw this Red Trillium, I thought of the number three... for some reason. This post also has something to do with threes. 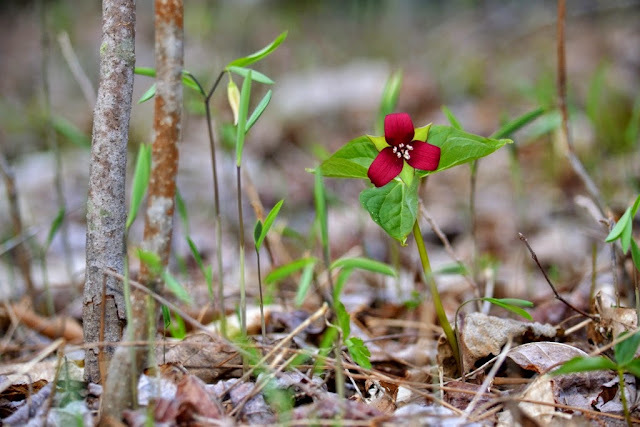 First photo... notice the Trillium's three maroon-colored petals framed by the three pointed sepals. Second photo... notice the whorl of three bracts (leaves). 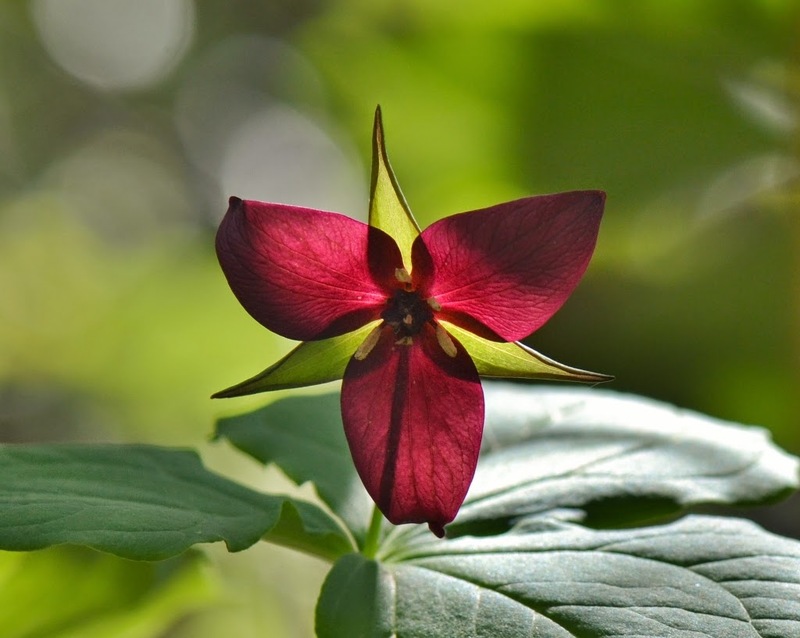 Third photo... you can't see it in this lower resolution photo, but there is a fly on the Trillium's right petal near the center of the flower. 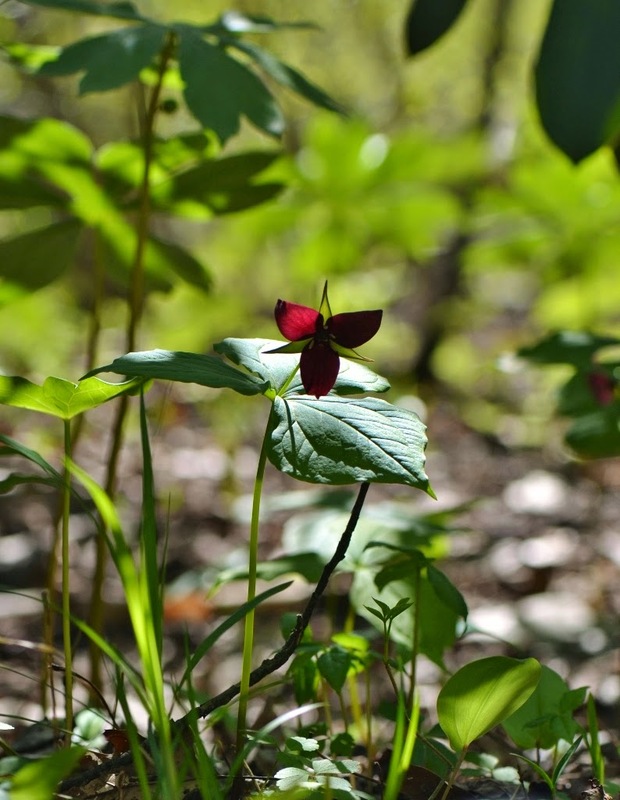 Flies are pollinators of Trilliums - they are attracted to the rotten-smelling flowers. Yes indeed, this three-themed flower made a great subject for my three hundredth Nature Post, eh? Flies are pollinators !? Add that to the list of stuff I've learned from you Dana.